Where Does Amazon’s Alexa Pull Data From? It is one of the hottest gift trends of the holiday season. 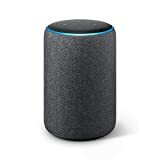 The Amazon Alexa is very similar to the Google Home system. Another step forward towards the future of technological integration in our lives. Essentially, the system works by taking the internet out of your finger tips and even off of your wrist, allowing you to connect by simply speaking out-loud in your home. You can add groceries to your cart through Walmart, find out what the weather will be tomorrow, or even listen to your favorite song without getting off of the couch or lifting a finger. Sure, it can be a super helpful tool—especially for those with small children who often have their hands full. But when you stop and think about what the product is offering, many people are also questioning the potential safety of the product. Is Alexa spying on your home? Considering the ideal demographic is a family who can use a little bit of help with organization around the home, it is worth noting that the threat of being watched is even greater for the exact people the product is marketed to! So then, where does Alexa pull its data from? Essentially, this question is asking who is the man behind the curtain? Just like the all-powerful Oz, Alexa is much more than a small box that sits on a shelf in your home. 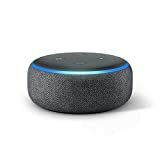 Alexa is connected to the internet through a system of powerful servers that provide instant connectivity to all the information you need, so long as you are connected to the internet. You can also opt in to notifications, so when you see your Alexa blinking green you know you have a notification to check. The Alexa system is connected directly to Amazon’s massive private servers. The servers are equipped with state of the art technology that allows every individual Alexa customer to have their own account with their own files. The data about your grocery list is saved right along next to your favorite music. Nothing is actually stored in that little device. As long as you are connected to the internet, Alexa can connect via the cloud to a massive server farm where it stores everything. Once there, the data sits there until it is deleted, which is something you can do yourself from your device. 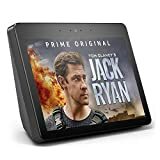 One of the reasons the Alexa device is so popular is because it has been vetted by experts and has been found to be rather helpful. Thought it may seem invasive, most people agree Alexa isn’t necessarily a security risk—as long as you take the proper steps to secure yourself. Don’t share personal information with Alexa. Just like a phone or computer can potentially be infiltrated with a virus and hacked, so too can this helpful home device. Be smart with how you use the device and what information you share via any technological source.